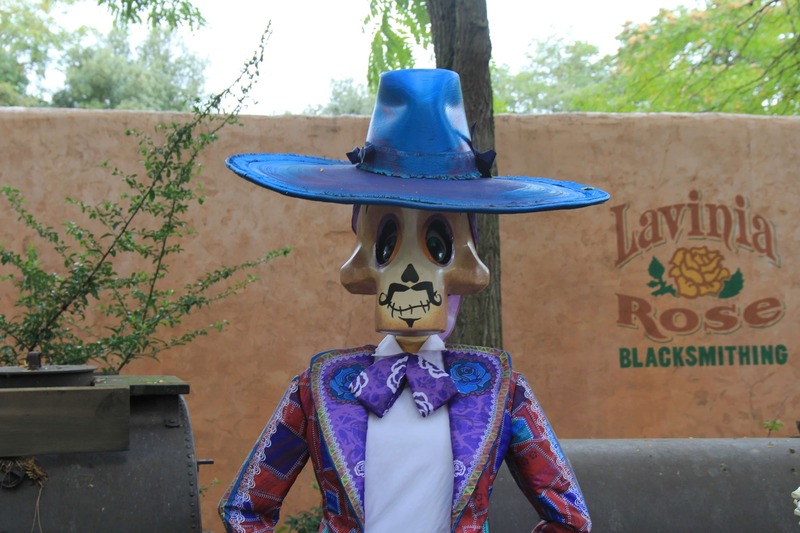 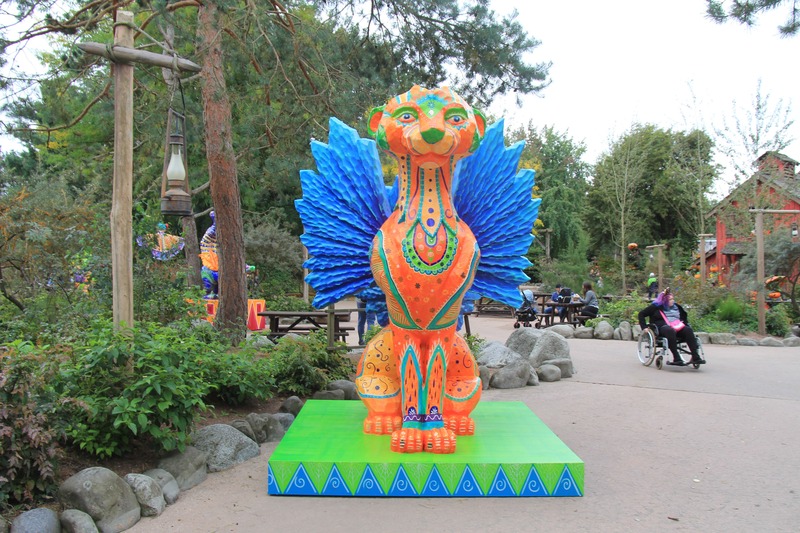 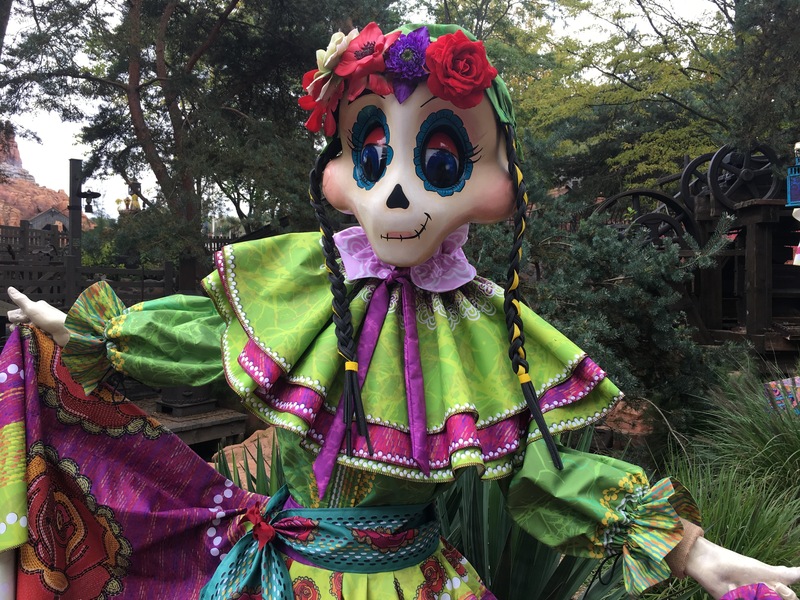 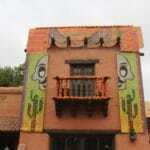 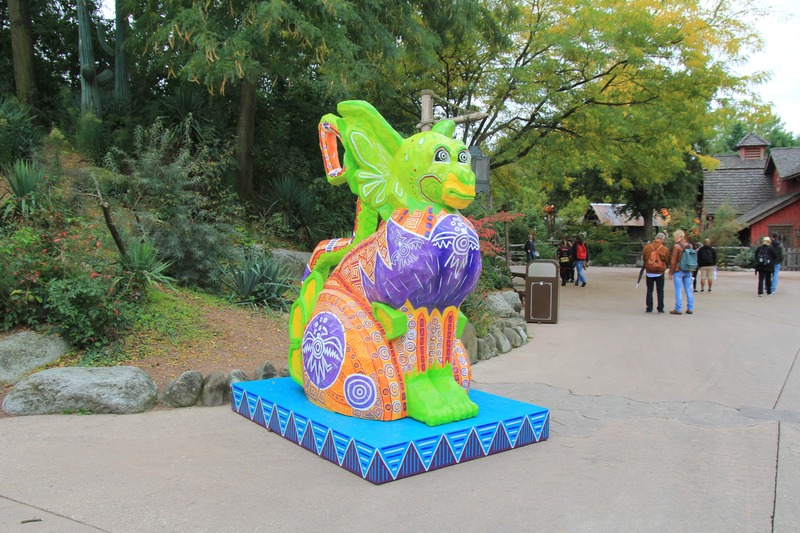 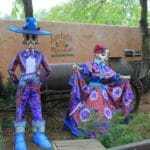 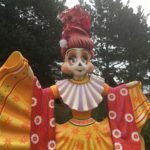 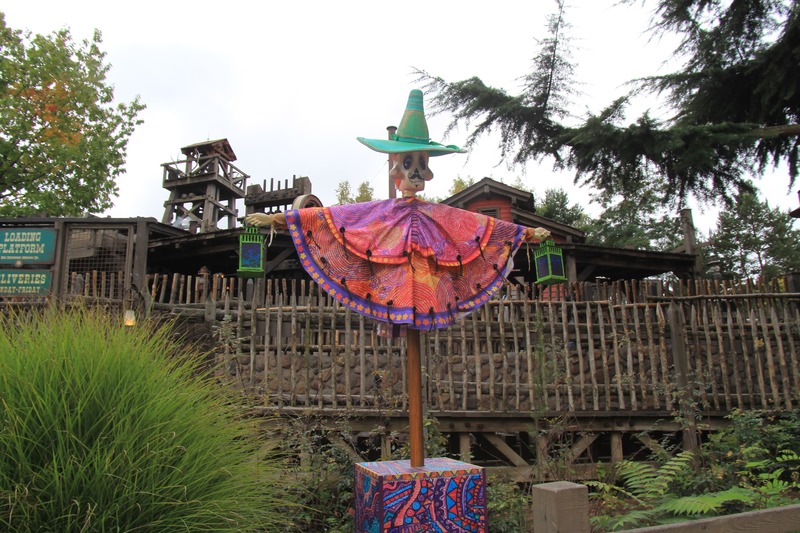 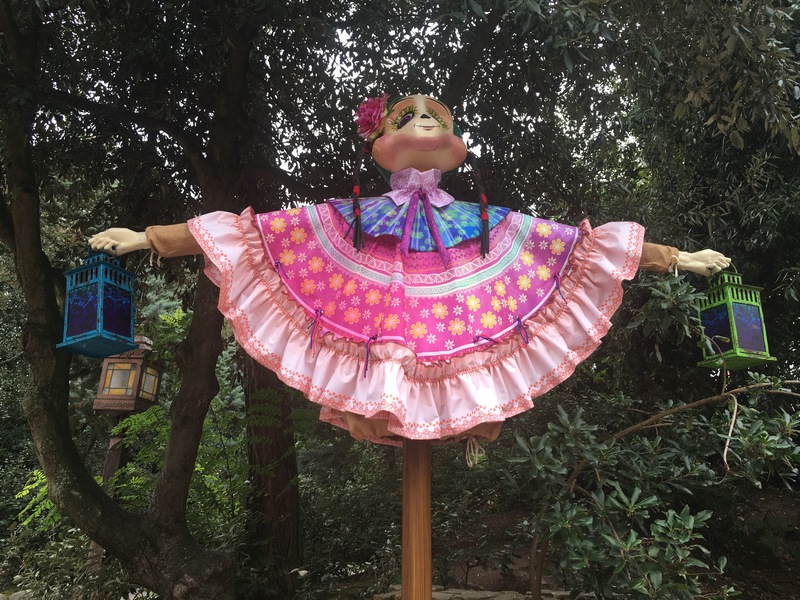 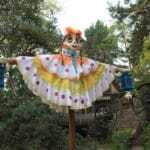 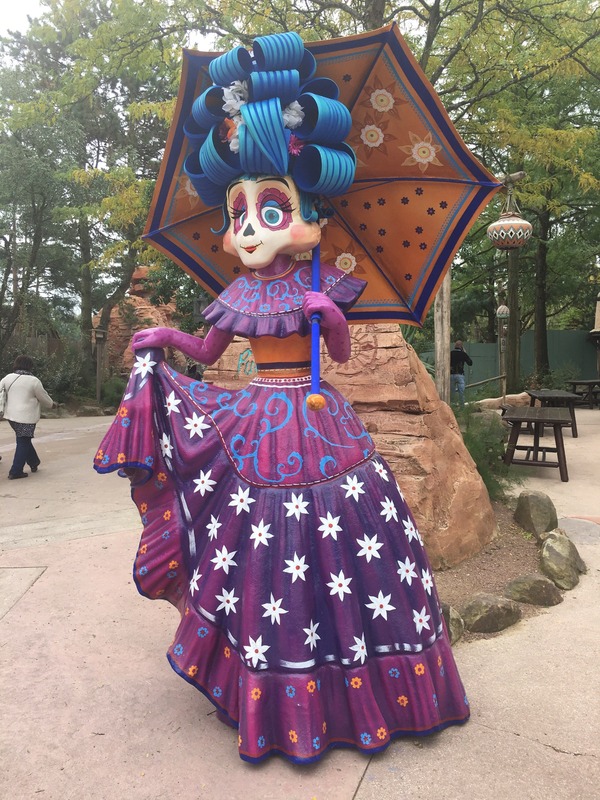 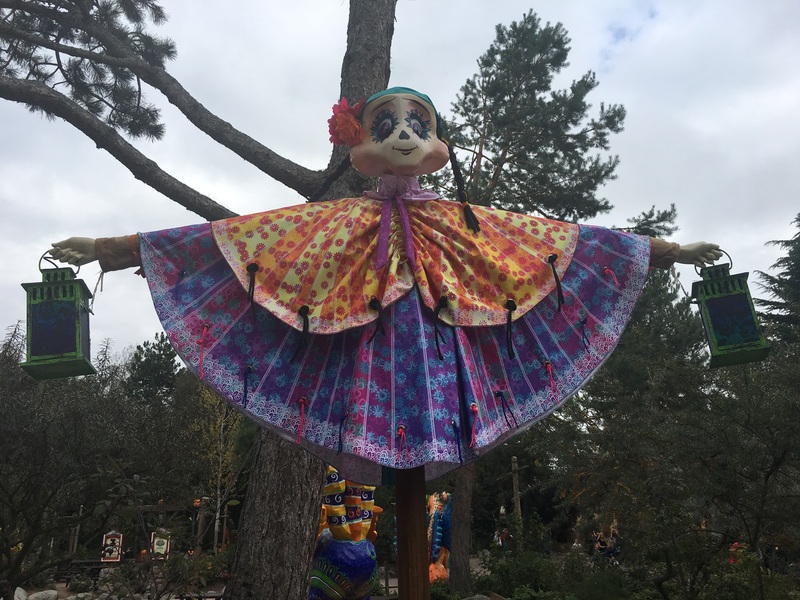 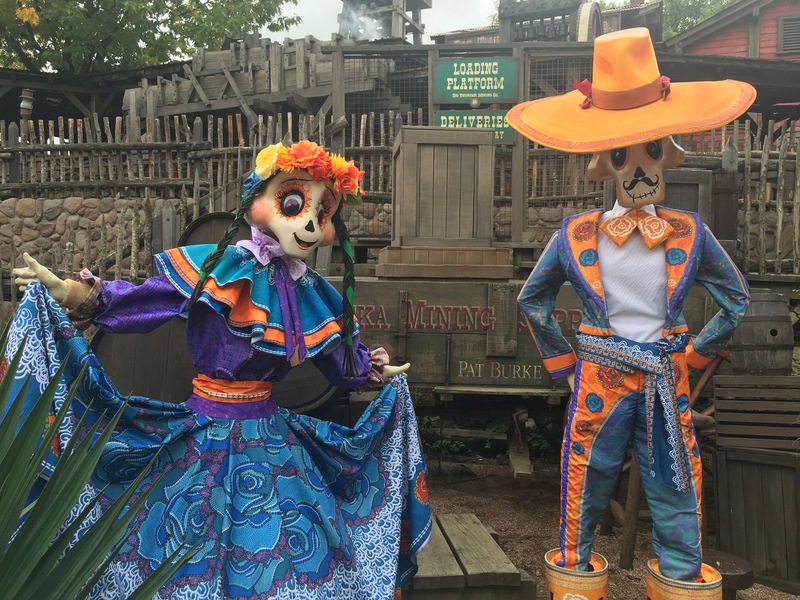 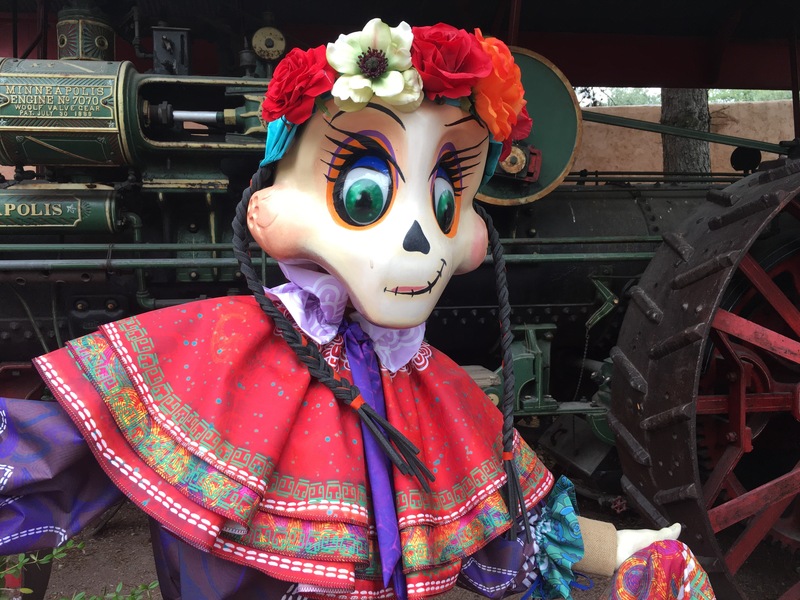 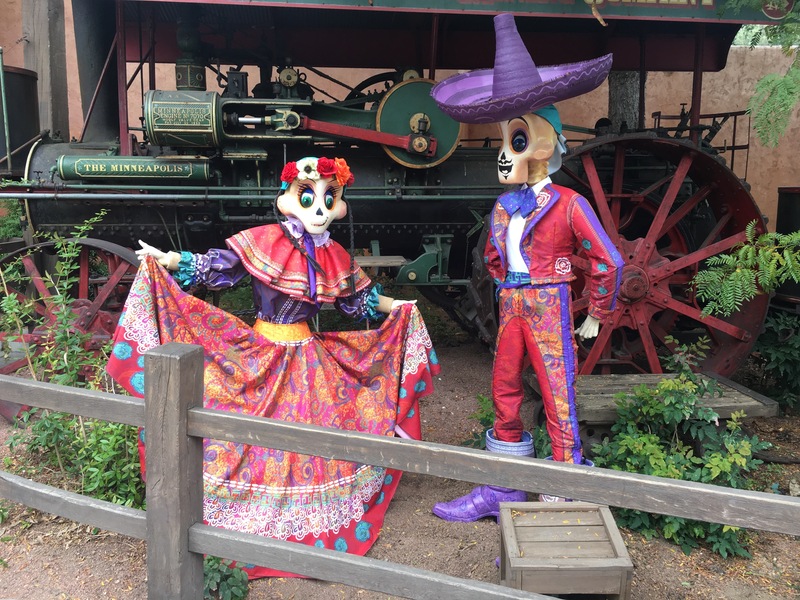 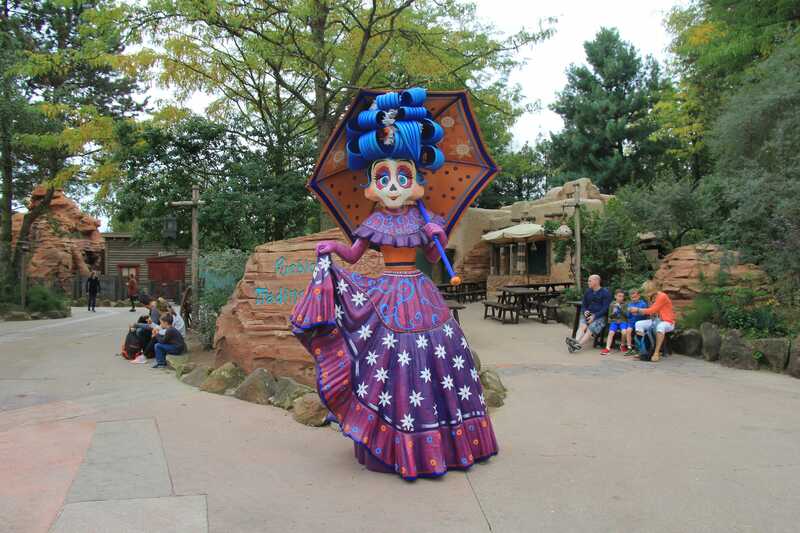 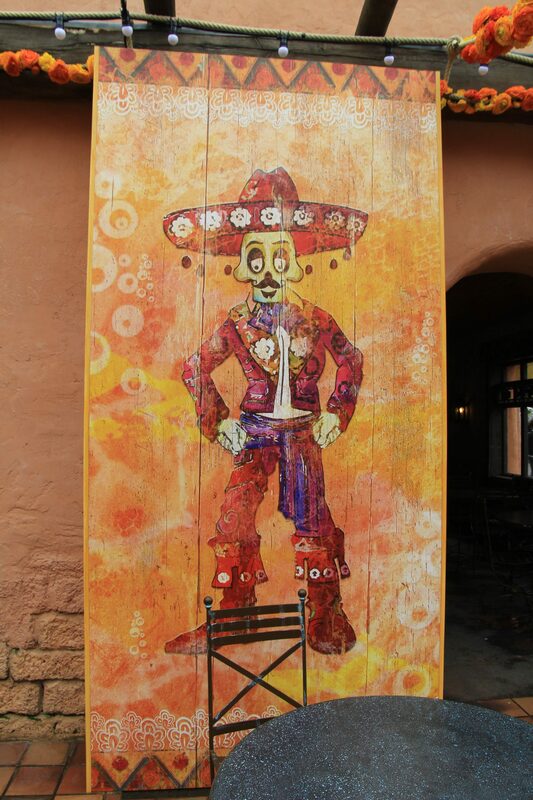 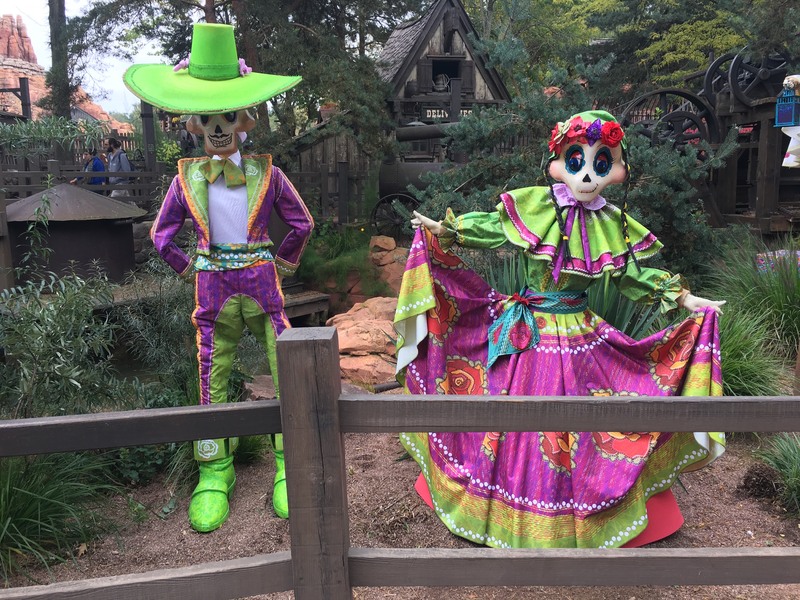 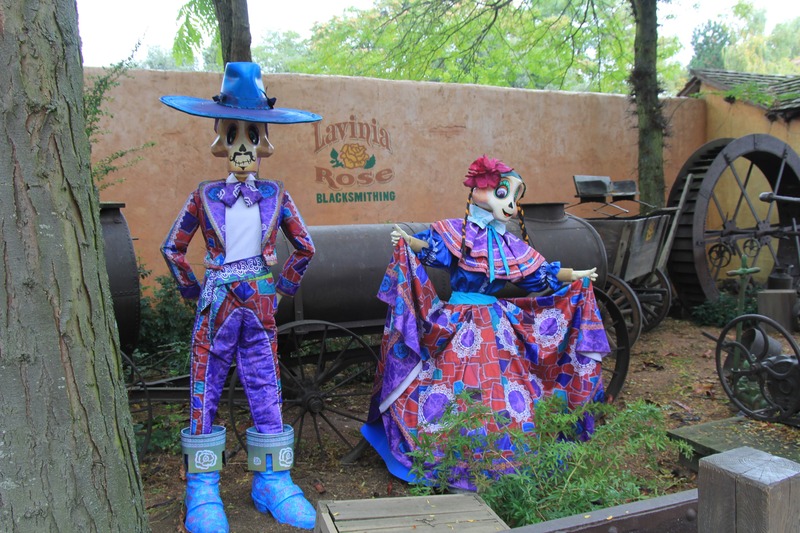 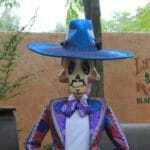 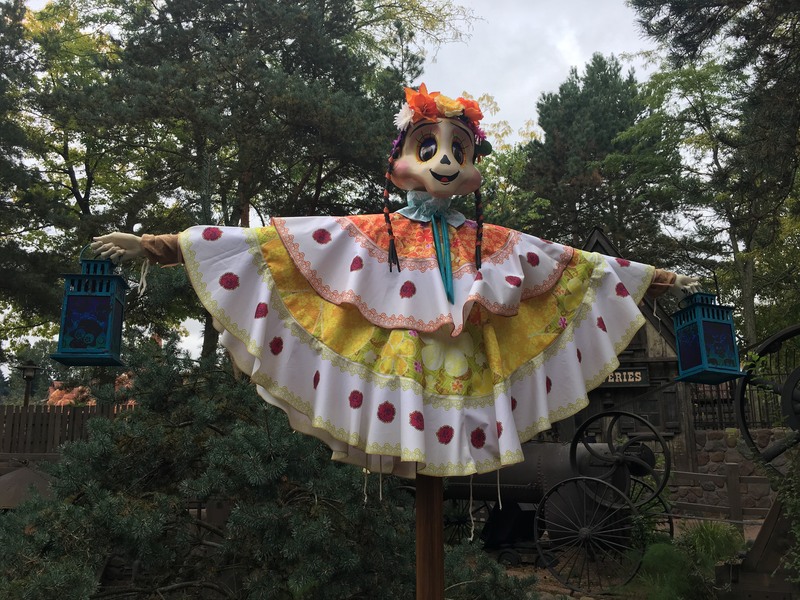 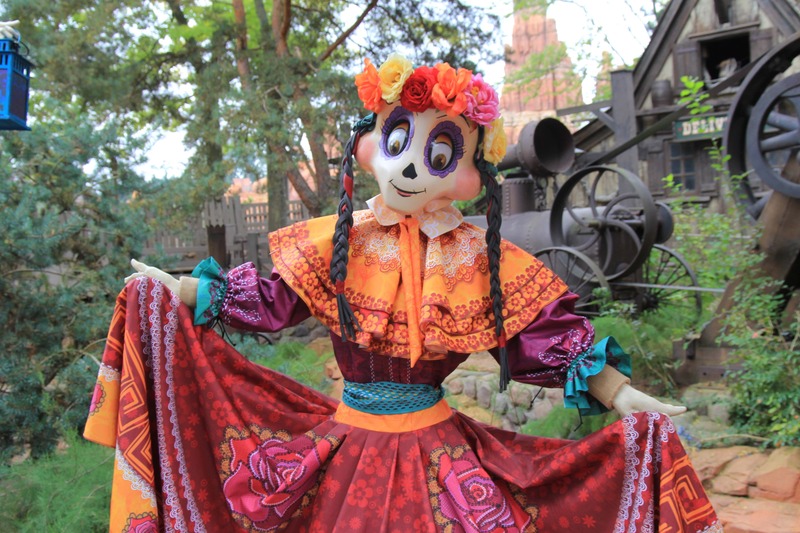 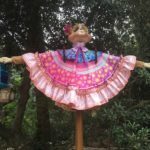 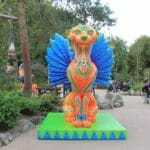 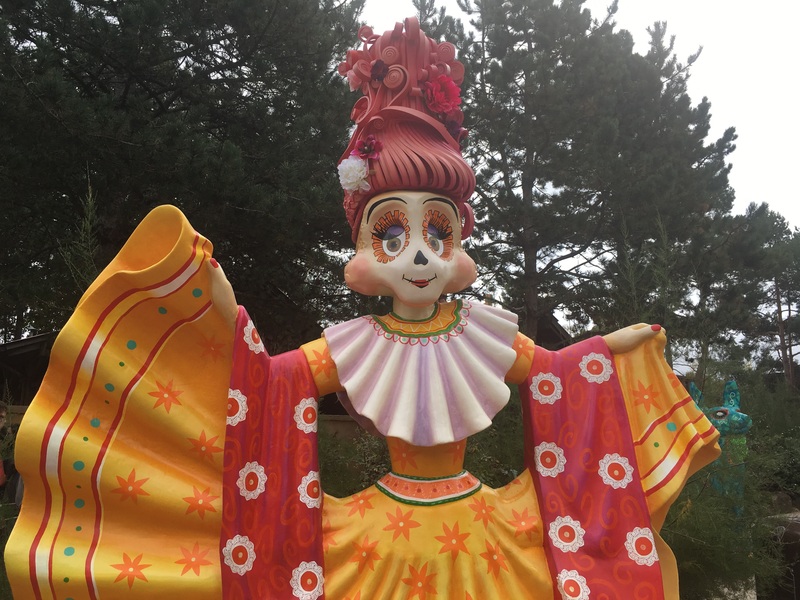 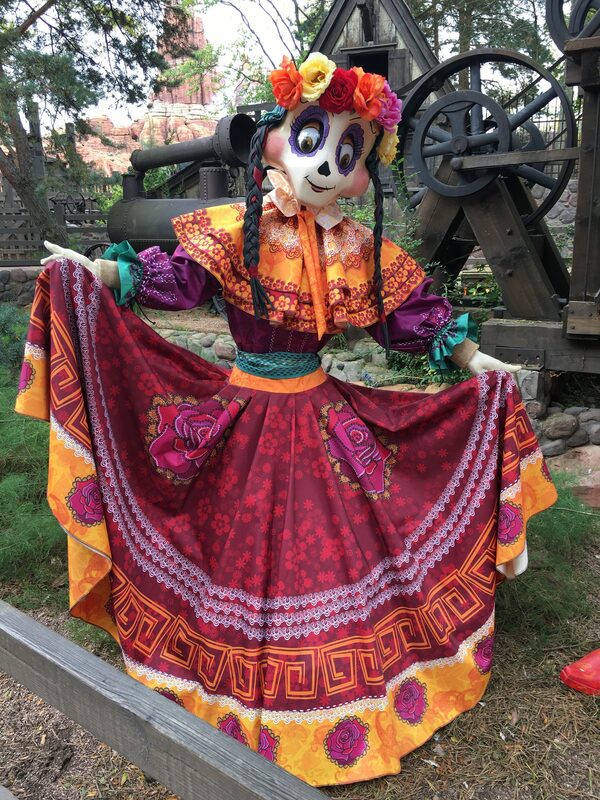 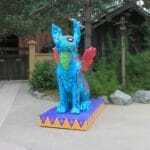 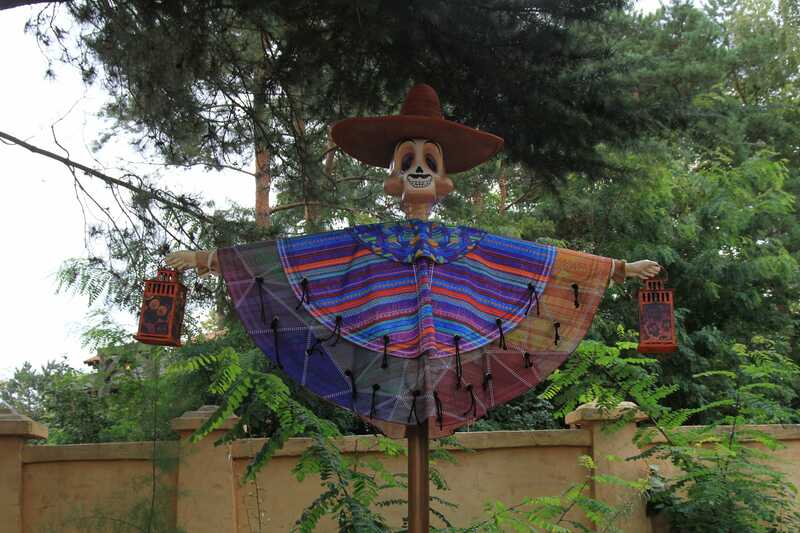 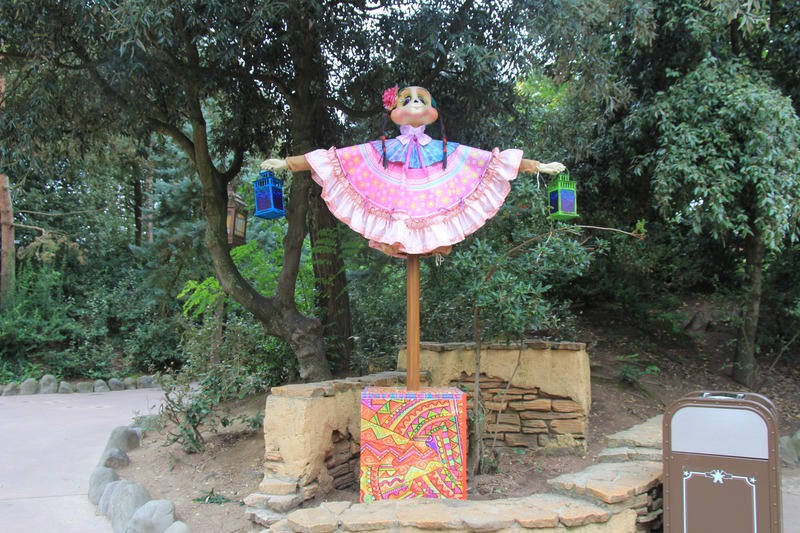 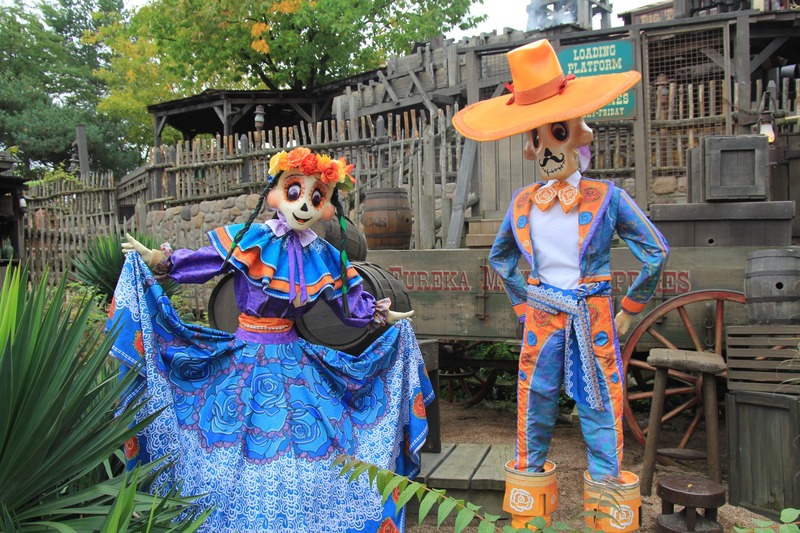 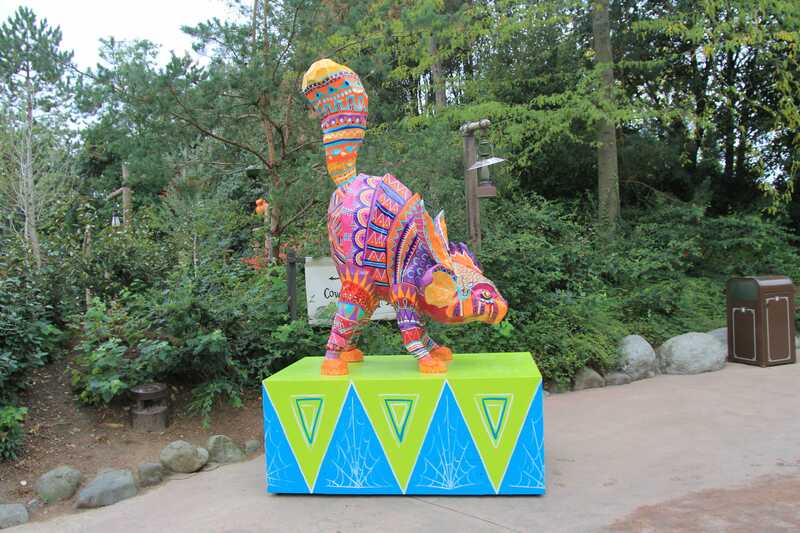 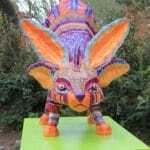 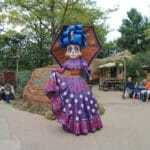 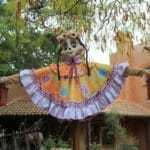 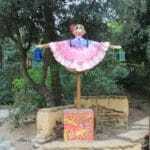 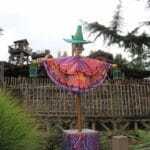 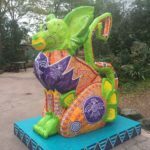 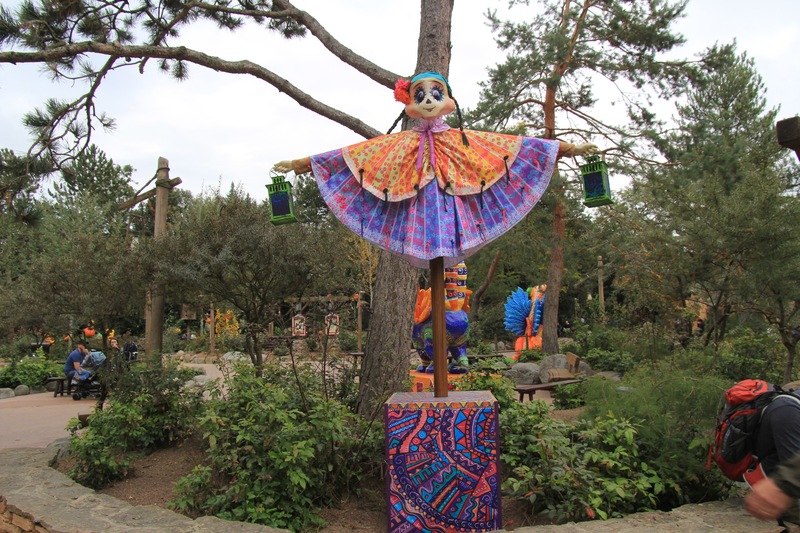 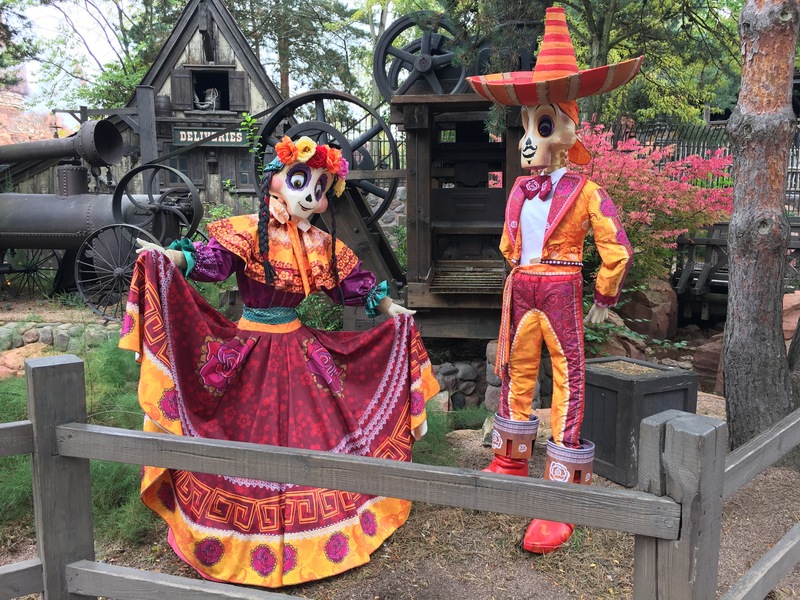 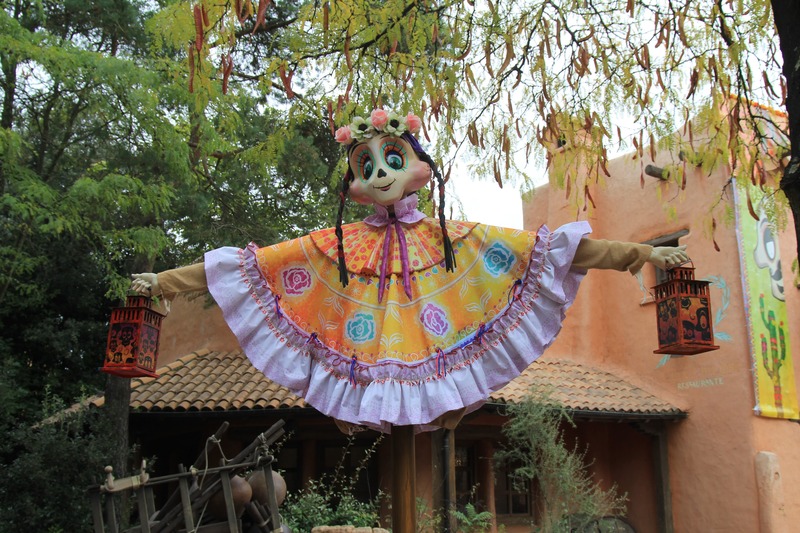 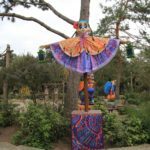 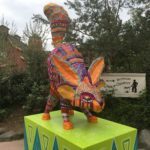 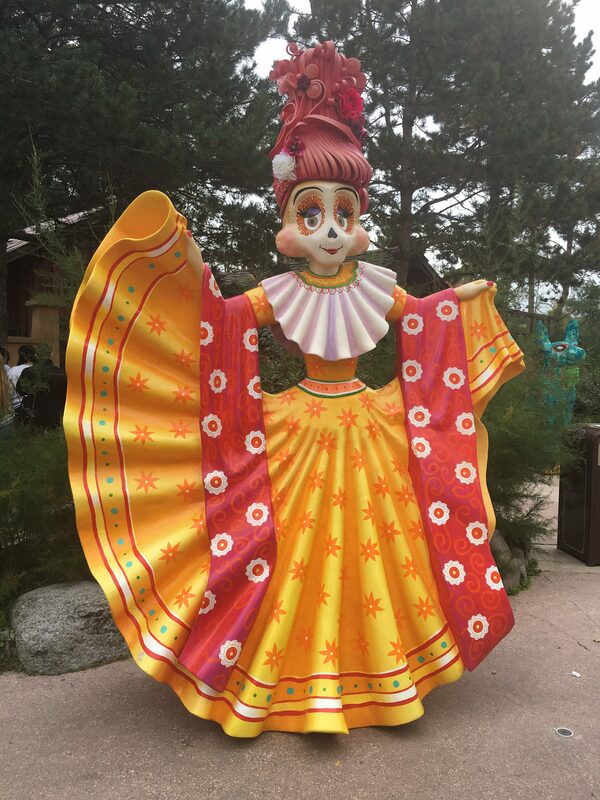 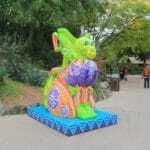 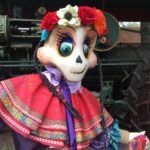 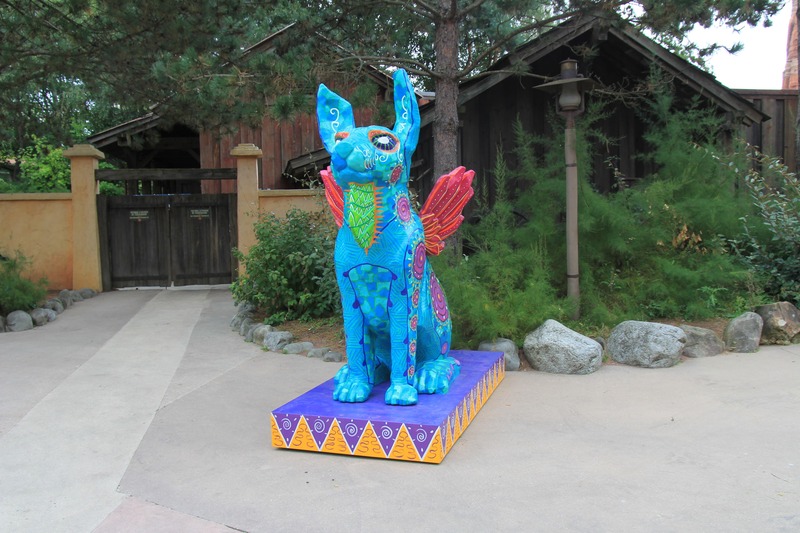 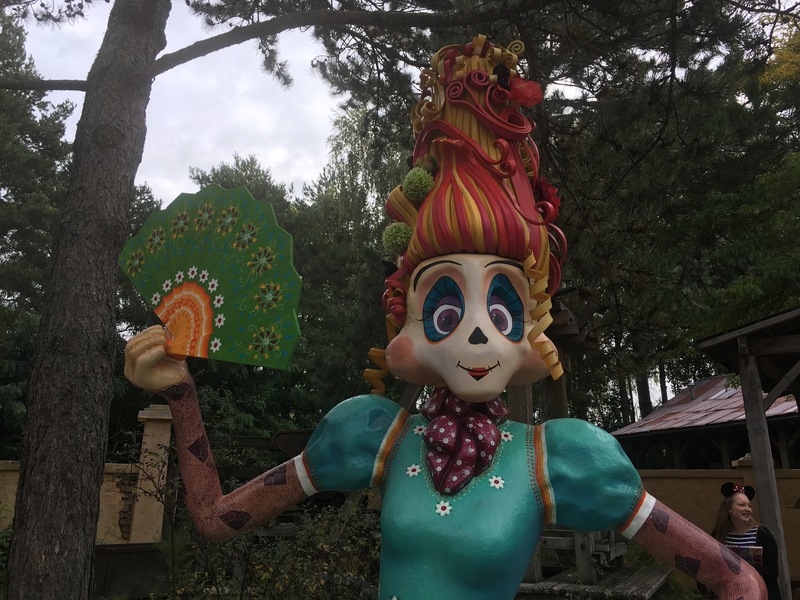 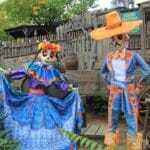 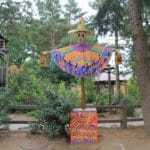 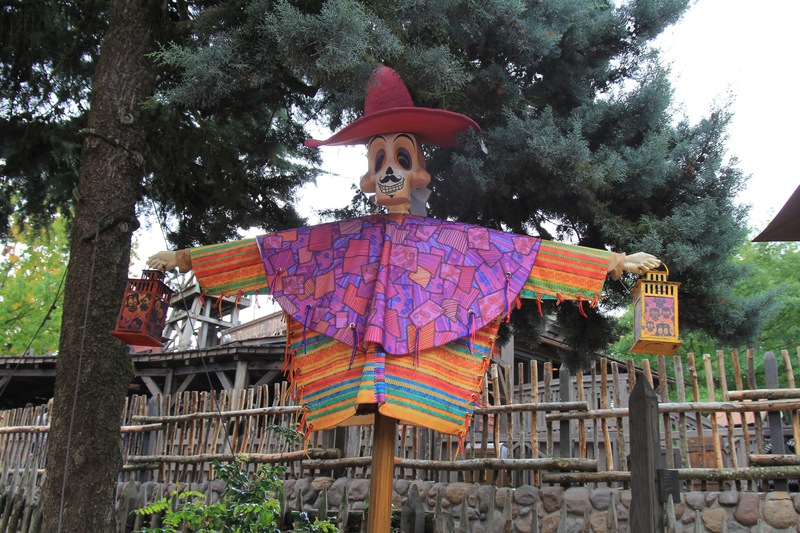 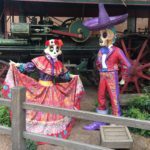 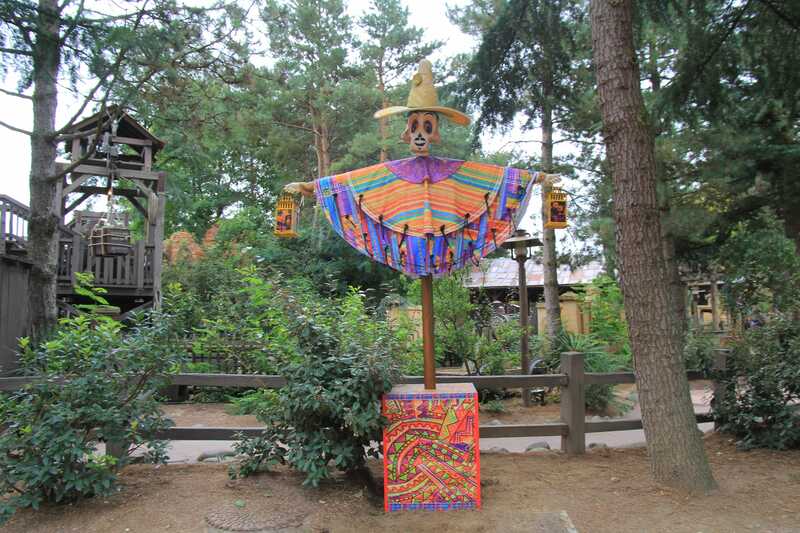 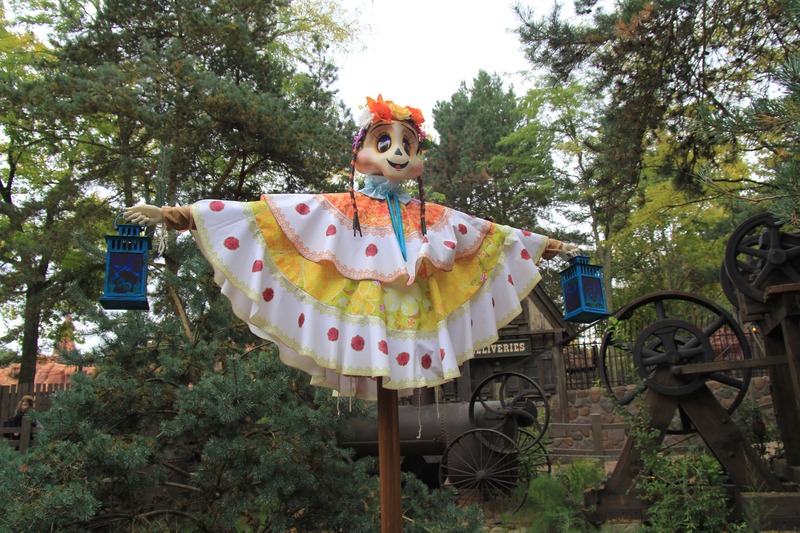 New this year is the added Dia de los Muertos decorations in Frontierland at Disneyland Paris. 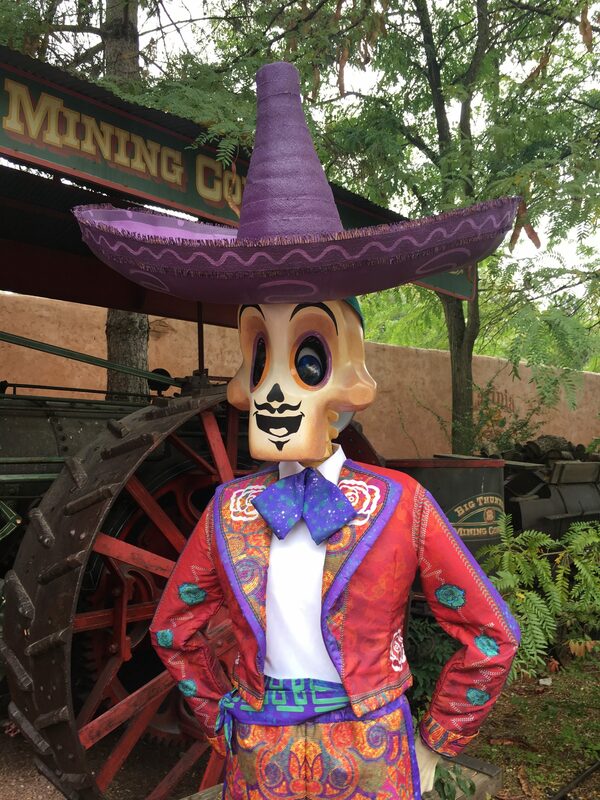 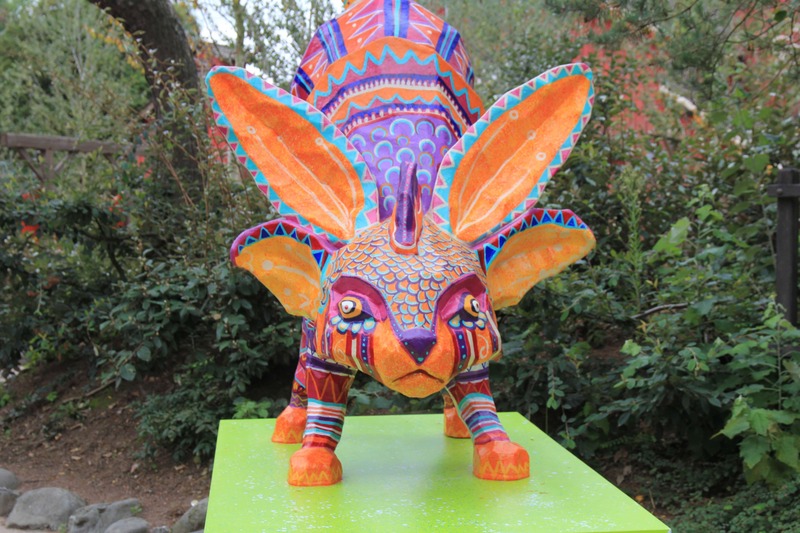 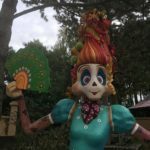 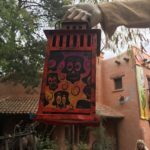 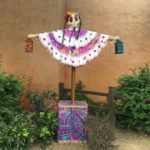 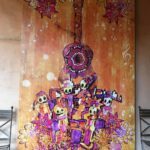 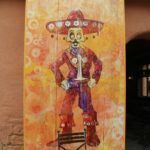 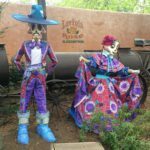 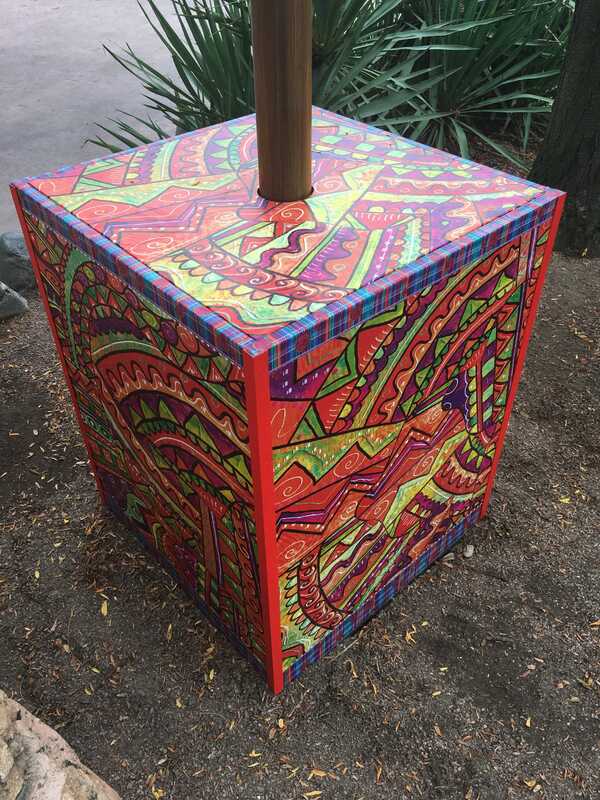 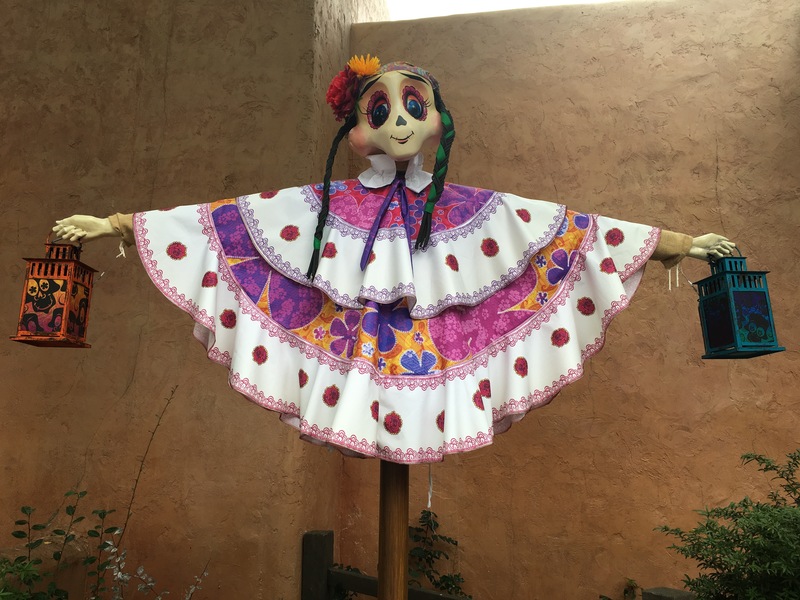 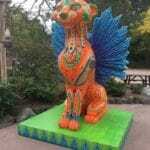 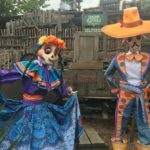 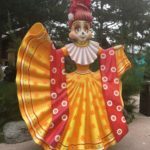 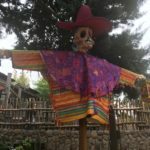 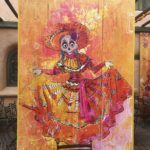 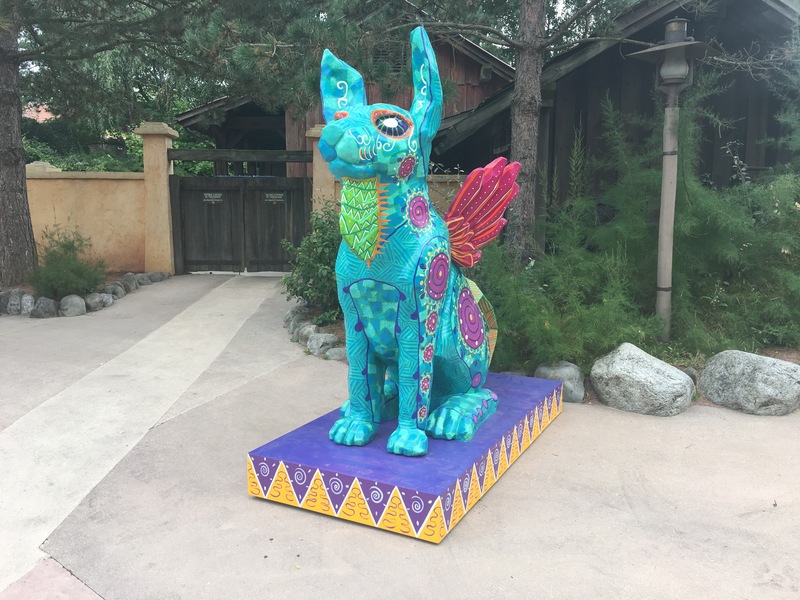 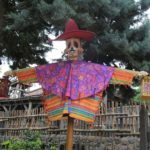 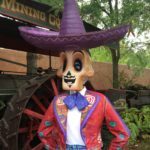 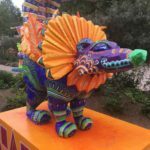 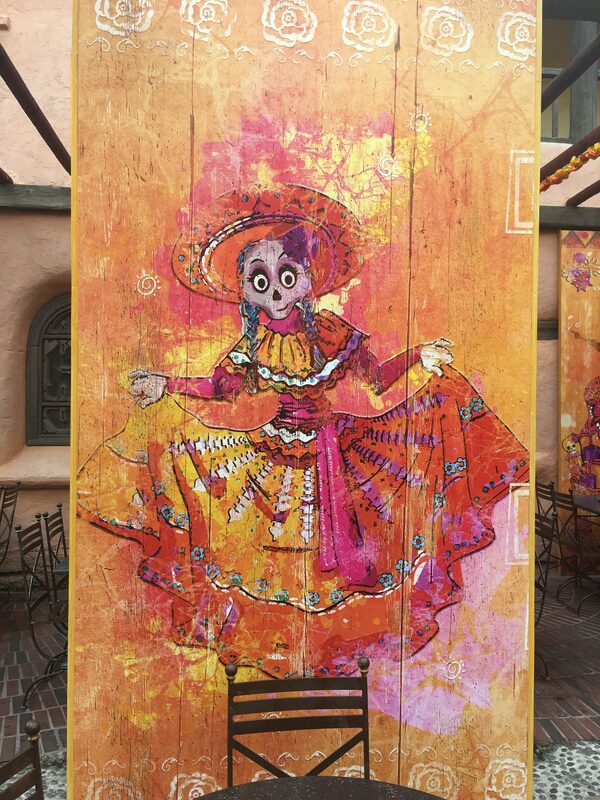 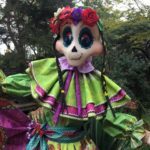 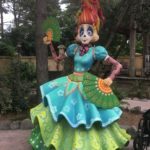 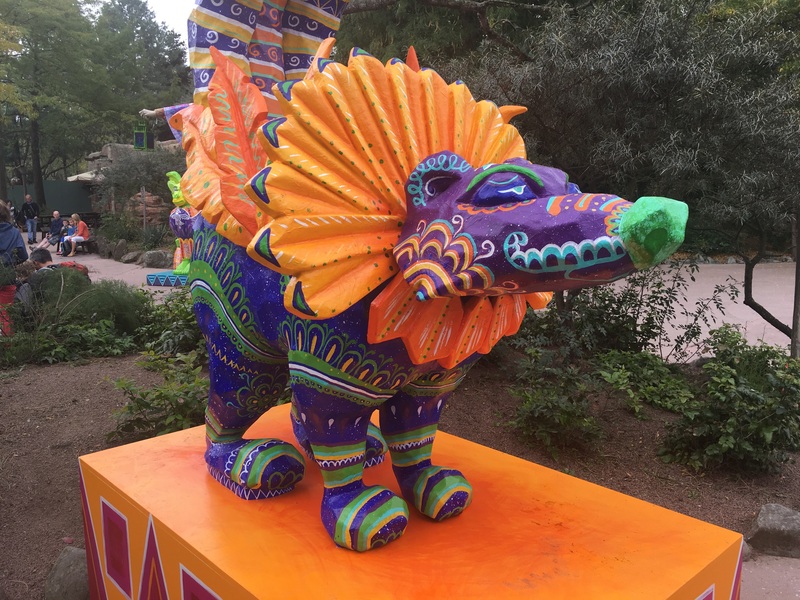 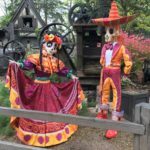 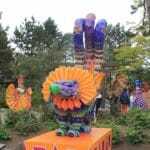 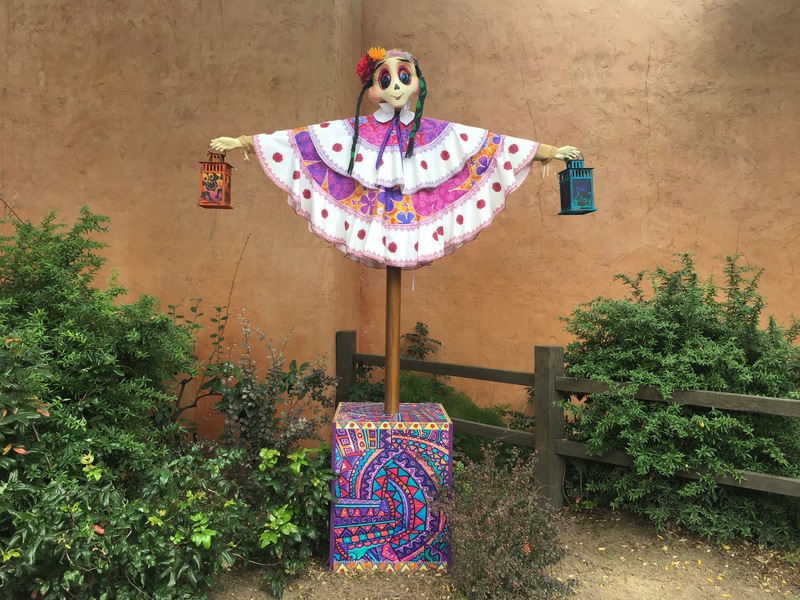 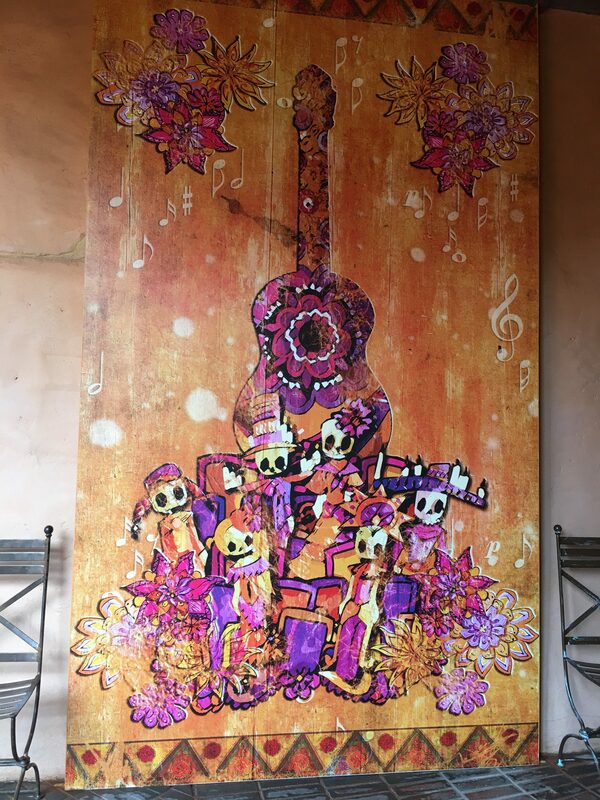 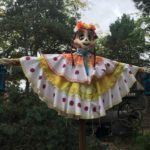 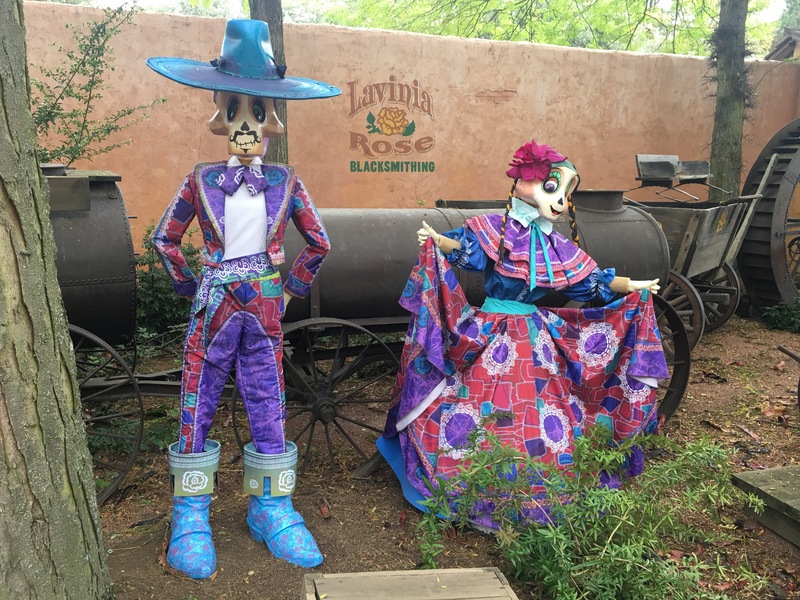 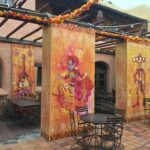 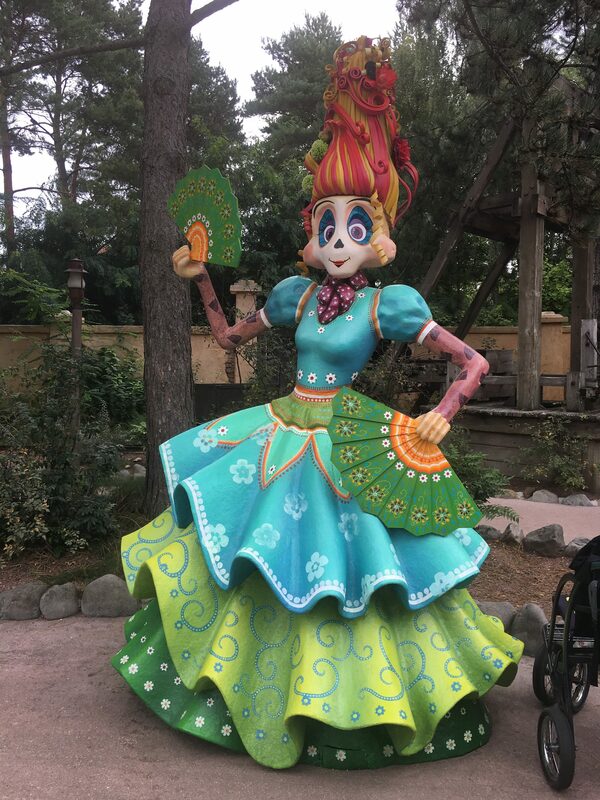 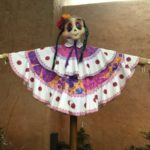 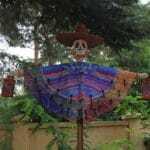 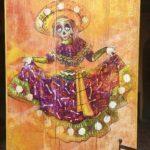 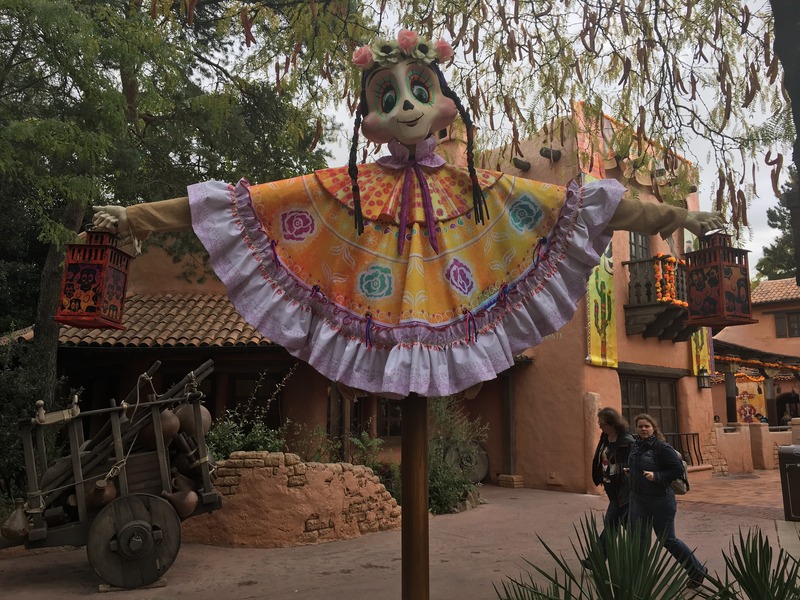 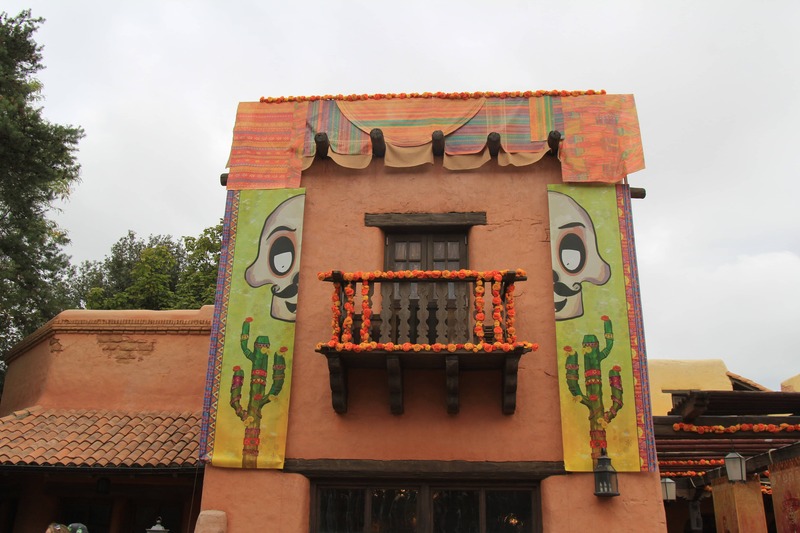 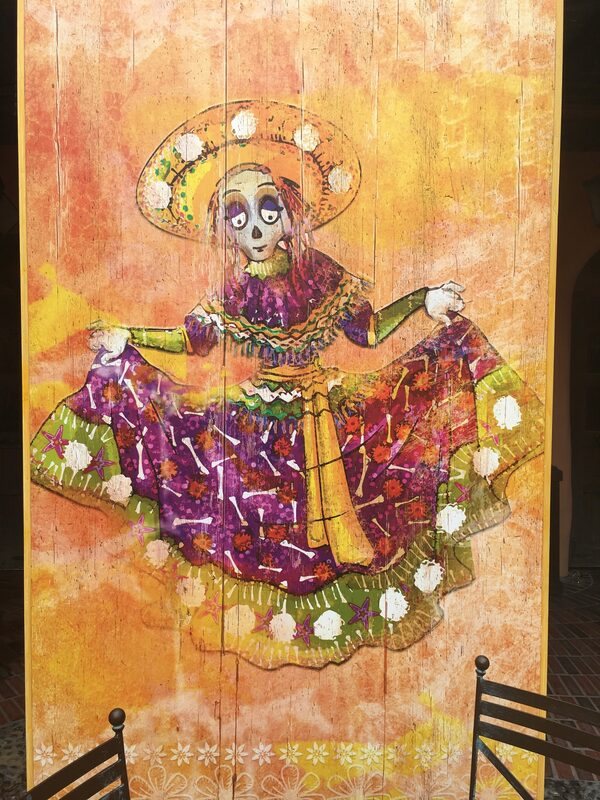 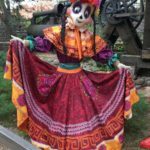 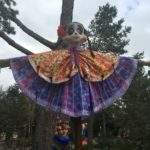 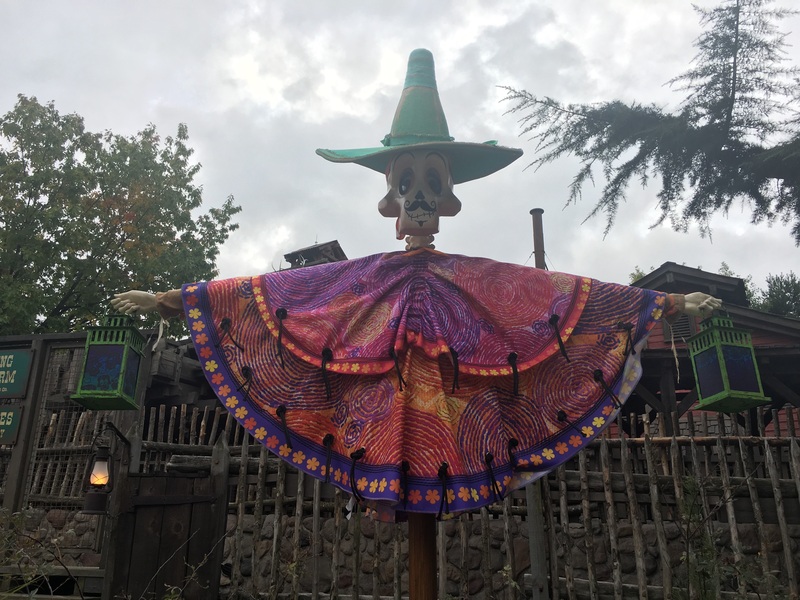 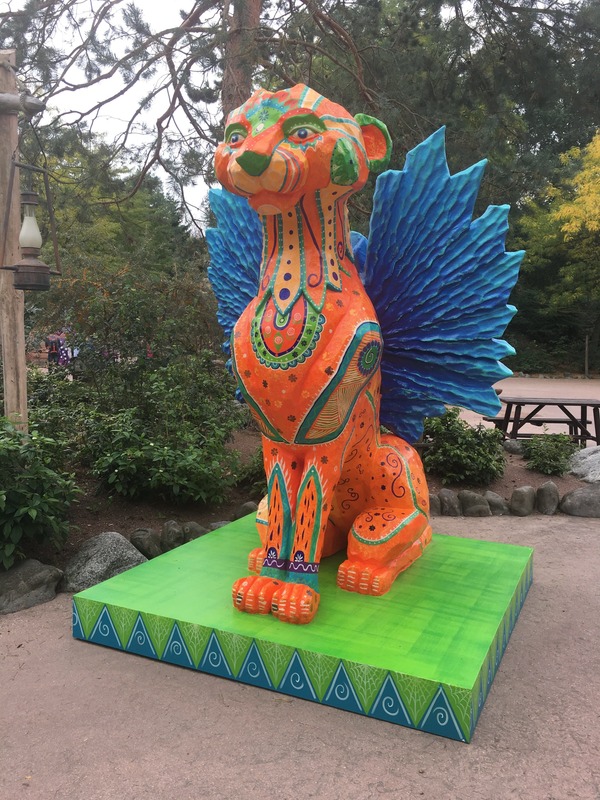 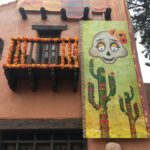 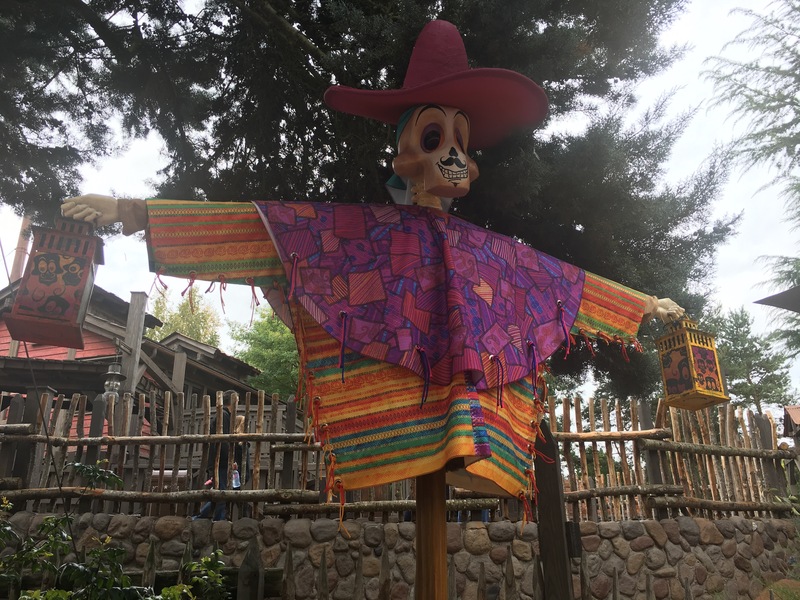 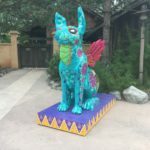 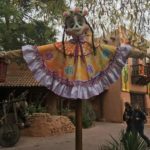 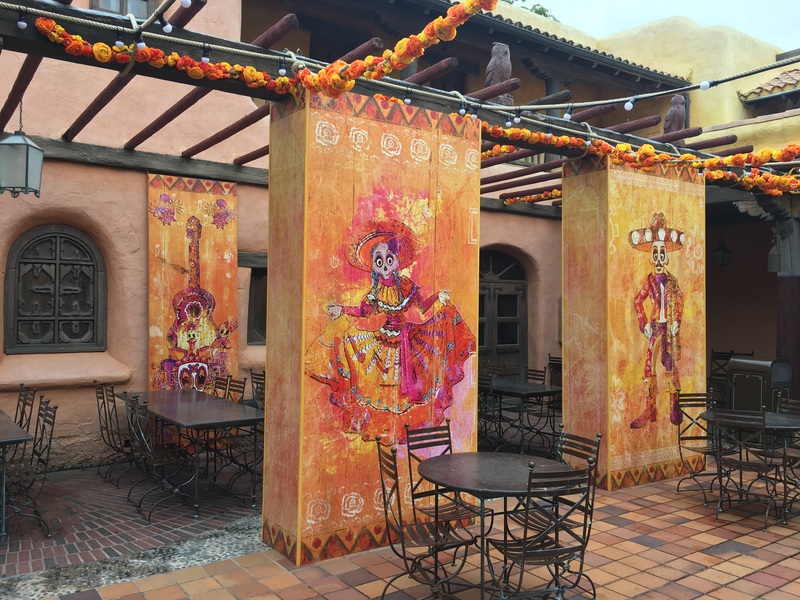 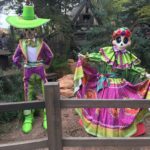 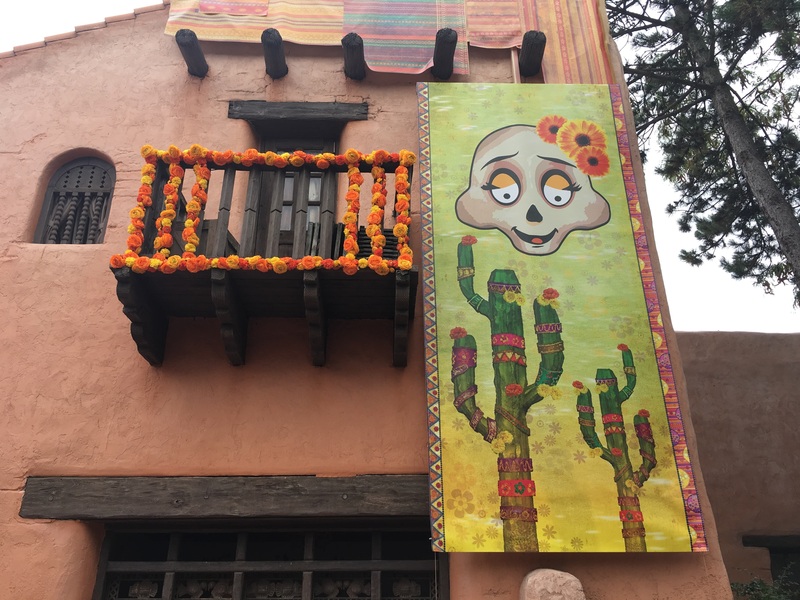 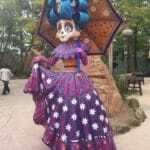 The Dia de los Muertos decorations are closely linked with the new Disney movie: Coco. 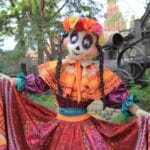 This movie will be released in theaters on November 1, 2017. 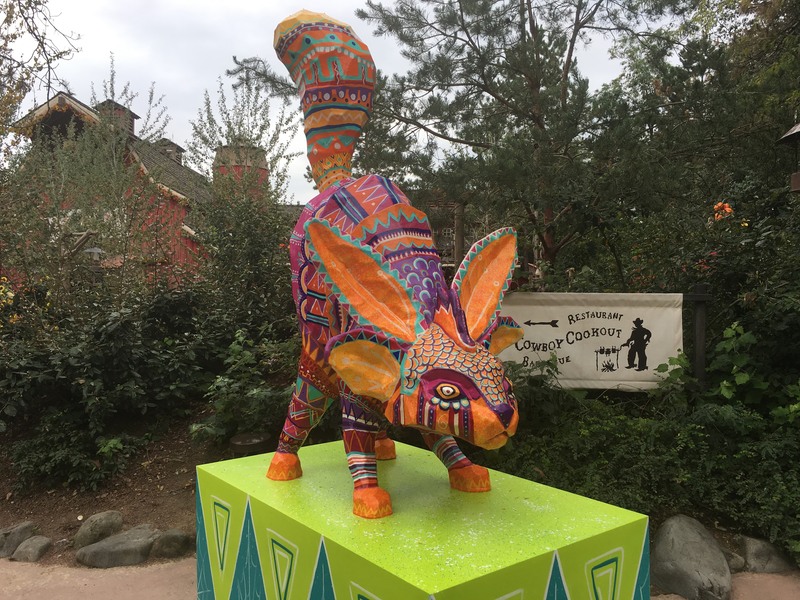 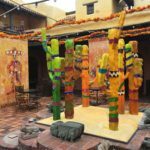 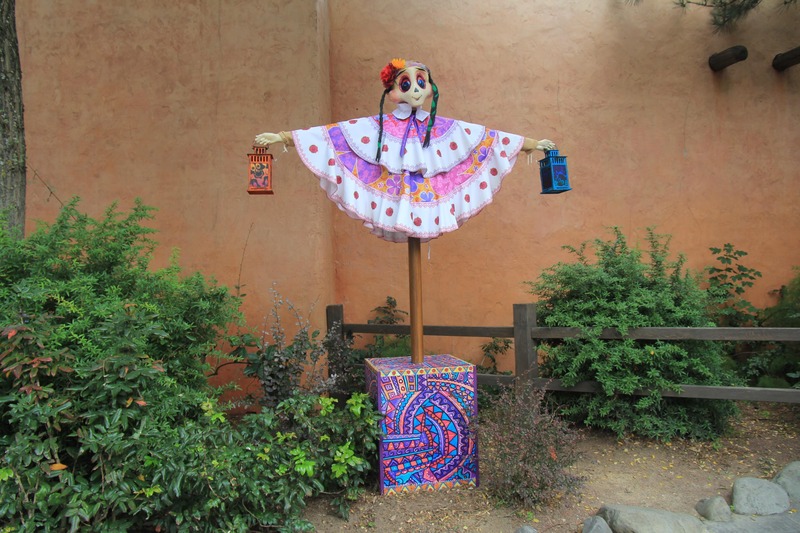 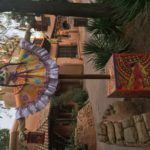 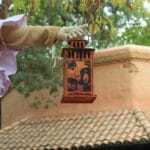 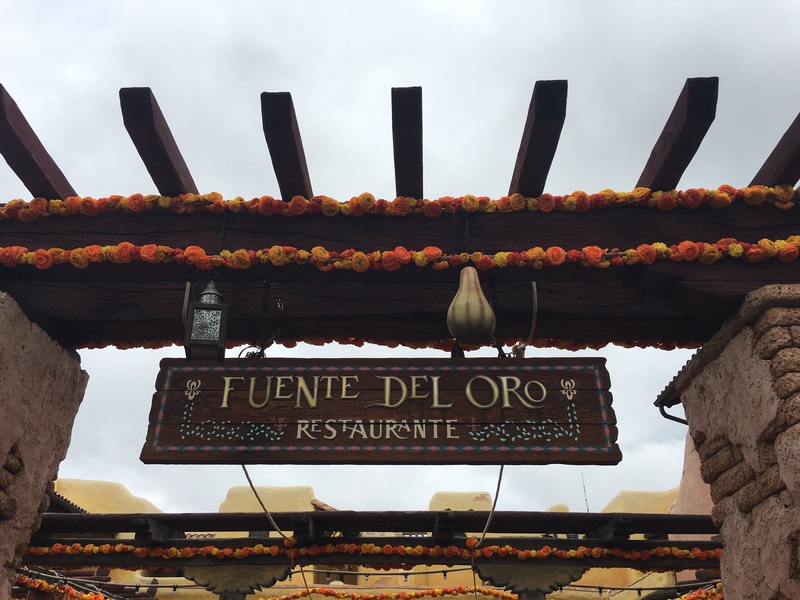 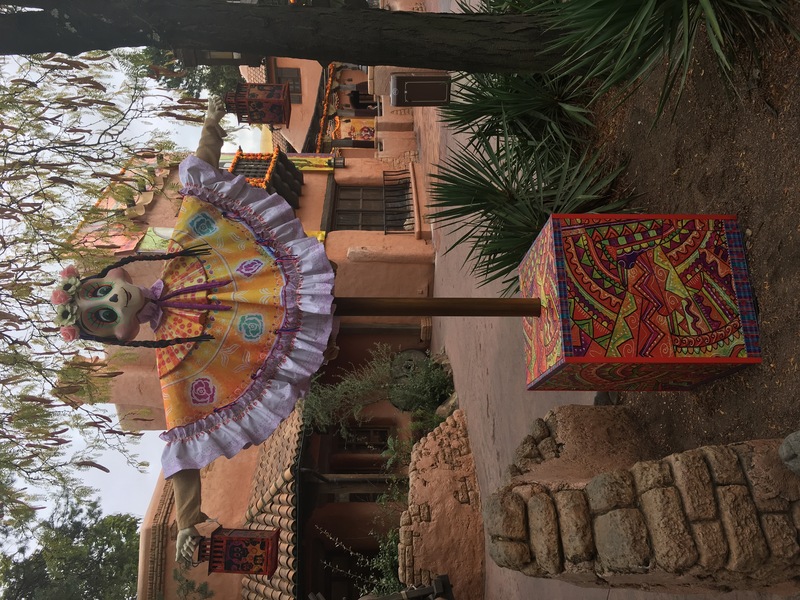 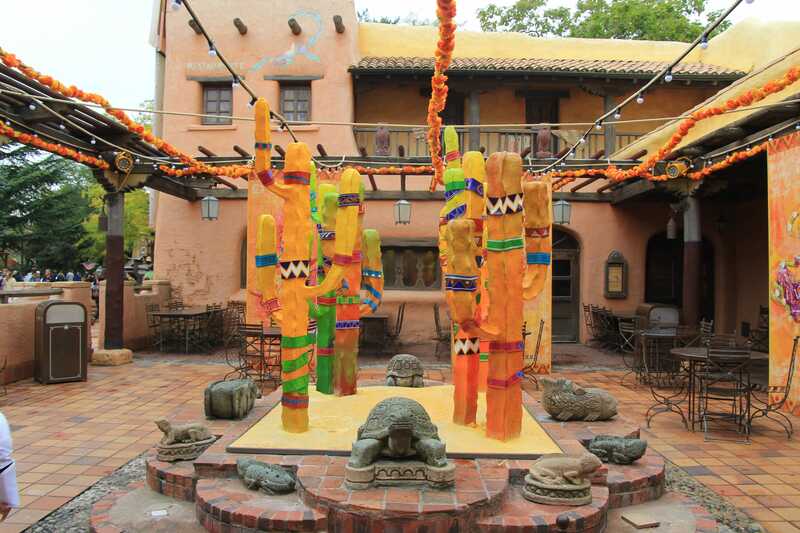 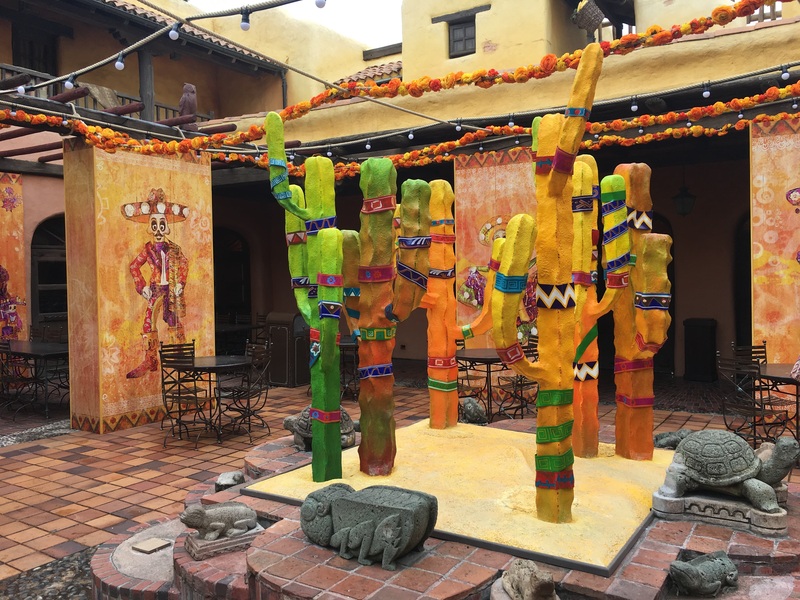 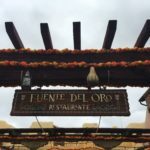 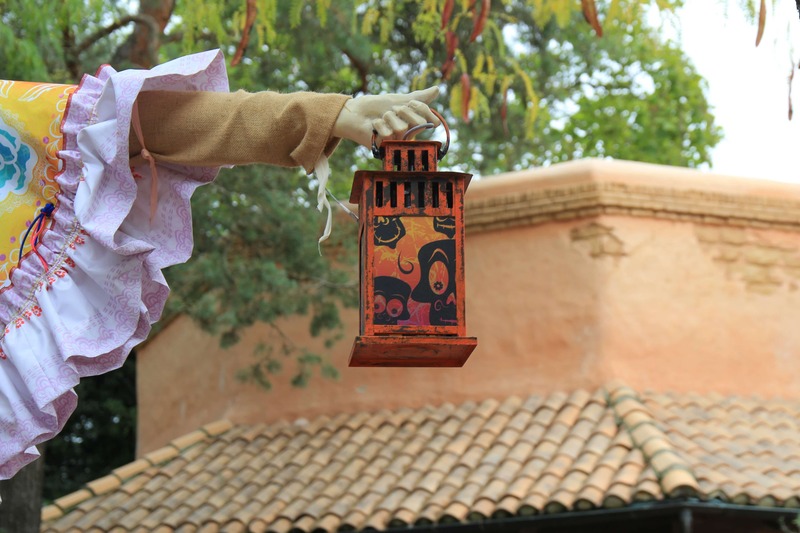 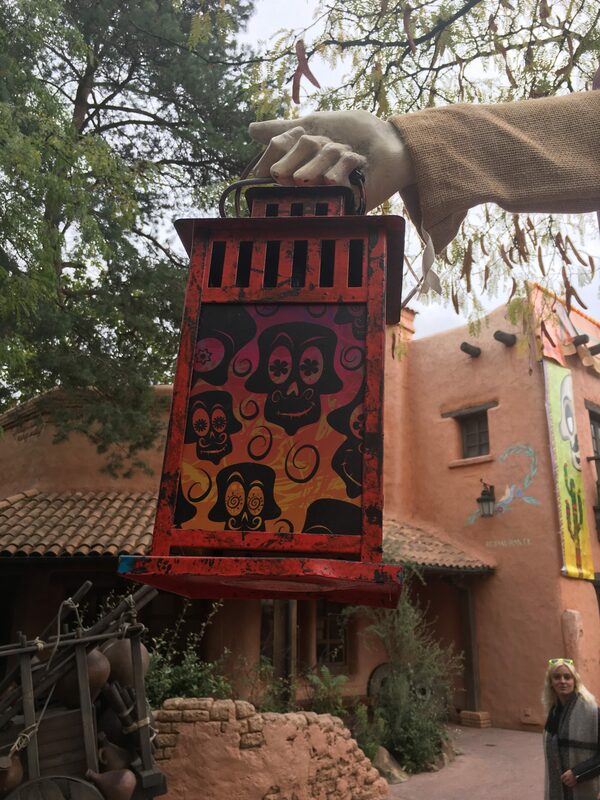 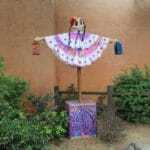 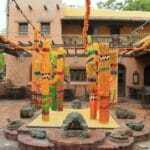 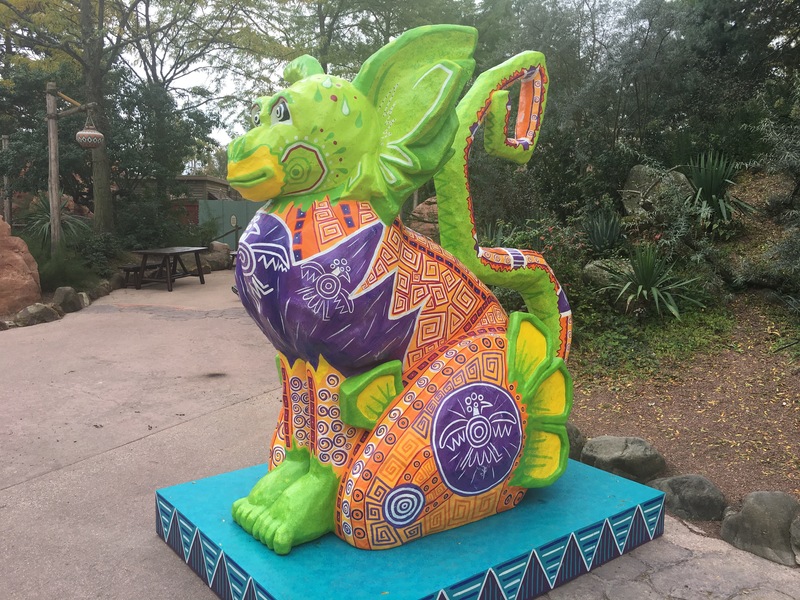 While the main center is the Fuente del Oro restaurant, decorations can be found along Big Thunder Mountain, the Pueblo Trading Post and the Cowboy Cookout. 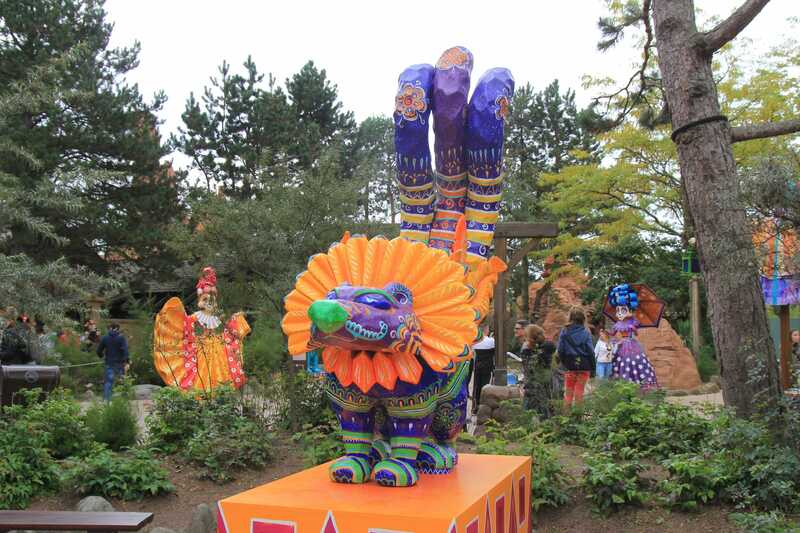 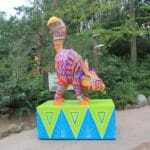 While walking along all the decorations we were really pleased and impressed with what had been put out on display. 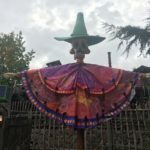 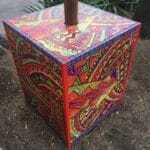 We can’t wait for Halloween to start and see all the other things that have been added.